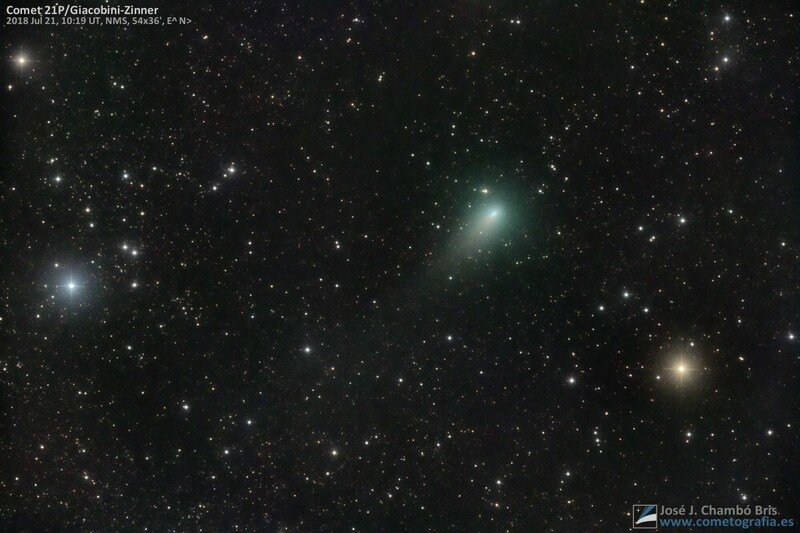 Comet 21 p / Giacobini-Zinner photographed on July 21, 2018. in this image presents a coma that had increased to 6 'Angular diameter and a tail of about 10' in length To the southwest. Telescope Telescope 20 " Cdk F / 4,5 + camera fli pl11002m. 12 min. Of total exposure. Remotely from mayhill, new Mexico (USA).